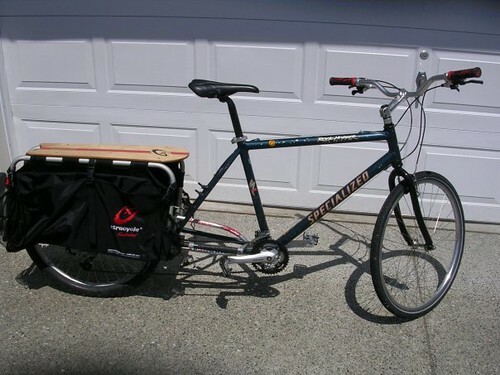 I bought this Specialized Rockhopper a number of years ago, stripped the parts for other bikes, and the frame sat until last year when I donated our second car. 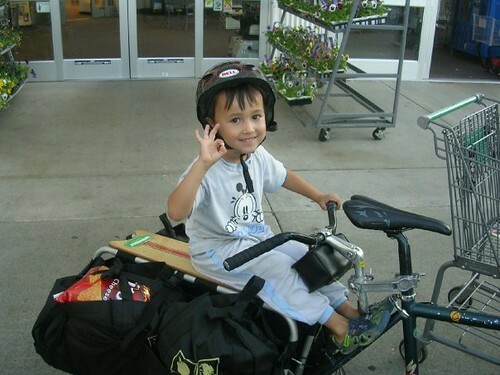 The deal was give up the car, buy the Xtracycle kit for grocery shopping and transporting my youngest to and from daycare, sometimes together in one trip. that looks great, what is the connector for the handlebar? Some sort of scafolding connector? I used a part used to mount an extra cymbal or other percussion instruments to a cymbal stand. Thanks for the comment.